The Niagara Arts and Cultural Center has progressed from an improbable dream to a vibrant reality! As the largest multi-arts center in up-state New York, the NACC is home to more than 75 artists and arts groups: over 60 artist studios, 3 public galleries, and multiple private galleries, three theaters, a radio station, a certified sound stage / movie production facility, the Niagara Falls High School alumni center, and the NACC Artisan Café & Gift Shop. 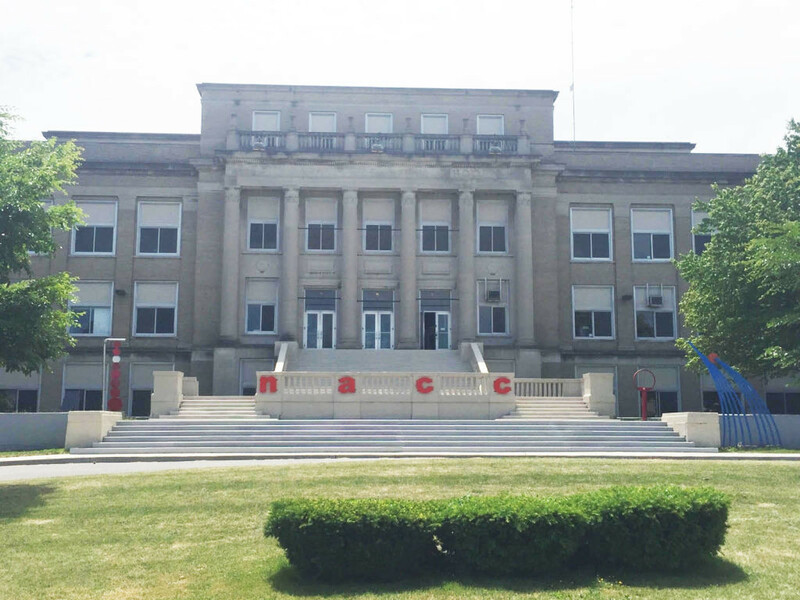 The NACC continues to grow as an education center offering adult and children classes to the public. Summer programs for kids offer an array of art, music, dance, and technology classes to area elementary, middle and high school students. Celebratory and fundraising events, rental space for meetings, small conferences, and parties, enhance the NACC’s community value. The NACC galleries host a diverse range of exhibitions, and our theaters regularly feature a broad variety of musical, theatrical and dance activities. The NFHS Alumni Center is a collection of memorabilia including yearbooks, photos, and documents for all to enjoy. Two galleries, two theaters, outdoor venues, a sound stage, winter bocce court and a radio station allow for a mix of visual and performing arts programs, programming and community outreach. The NACC hosts each year- African American Arts and Music; Native American Arts and Music; Opera Performances; 12+ Gallery Exhibits; A Full Season of Theater Performances, Radio Shows, Art workshops, Regional History Lectures, Architectural Tours, Gardening Workshops, and Artisan Markets.